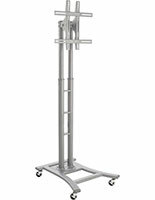 Mobile LCD Stands | Best Seller! 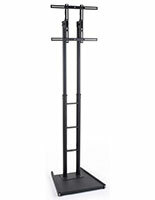 Supports Screens Up To 65"
These mobile LCD stands with wheels are the perfect tool for trade shows, lobbies, retail stores, and many more establishments. 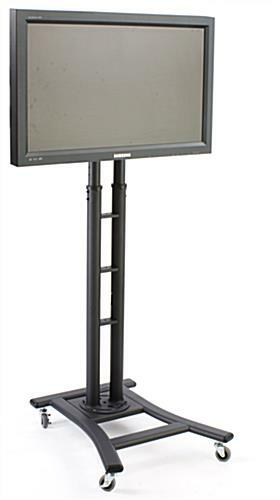 The flat panel bracket is designed to accommodate 37" through 65" for holding a variety of sized screens. 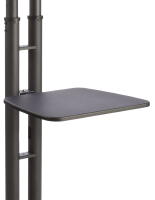 These freestanding LCD stands for business use, also known as Plasma floor displays, have four casters on the bottom to grant users convenient movement. The wheels have locks for maintaining position when in the correct position. 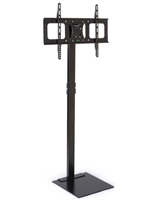 These portable LCD stands with wheels offer 15° of tilting to meet the precise sightline. The flat panel bracket has a black finished exterior for a neutral coloring that matches most decors. 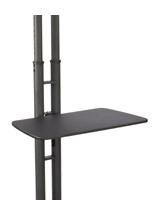 These mobile LCD stands for business use following VESA guidelines, so the mounting holes will work with most TVs. The Plasma floor displays are strong enough to hold monitors that weigh up to 110 pounds, so users will be able to affix most flat screens that fall into the dimension range. 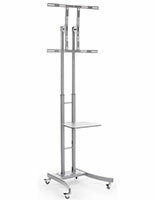 These freestanding LCD stands with wheels are crafted out of durable aluminum metal for longevity. 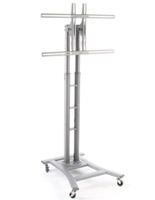 The flat panel brackets are strong enough for use in venues where there is a great deal of foot traffic. 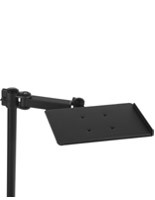 These portable LCD stands come knocked down for lower price points. The units include all of the necessary screws and hardware for installing most screens, but in some cases a different size screw may be necessary. These mobile LCD stands for business use come with an instruction manual for quick construction. The plasma floor display will hold screens at eight different pre-set positions ranging from 44" to 71-1/2" off the ground. 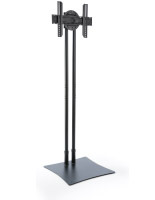 These freestanding LCD stands are easy to adjust to the right height. 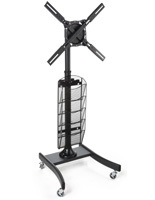 The AV carts are models of versatility to fit most presentation needs.